A private employee from Chikkadpally has been arrested by the Raidurgam police for creating fake identification documents to take credit cards and duped five banks to the tune of `7.33 lakh. 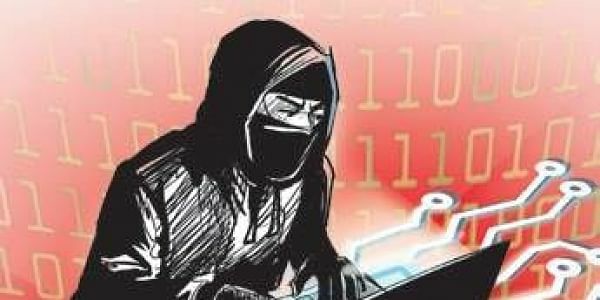 HYDERABAD: A private employee from Chikkadpally has been arrested by the Raidurgam police for creating fake identification documents to take credit cards and duped five banks to the tune of `7.33 lakh. The accused Bolu Rama Rao (35), a resident of Chikkadpally, has completed MCom from Osmania University in distance mode in 2006 and worked in various companies. While working as an executive at a firm, he learned about the verification of identification proofs for the credit card and loan applicants. He stole the documents of some applicants and forged them to make Aadhaar cards, PAN cards and other identification proofs and used them to get credit cards. “Rama Rao used to replace the photographs of the applicants with his and applied for credit cards. He managed to get five credit cards from SBI, Ratnakar Bank, Kotak Mahindra Bank, ICICI and IDBI Banks. He used to visit petrol pumps and en-cash the money. The accused duped the banks to the tune of `7.33 lakh out of which he deposited `1 lakh as fixed deposit on his name and spent the rest.